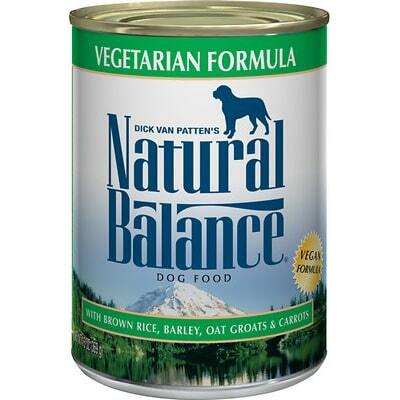 Natural Balance Whole Body Health Puppy is a low-priced dog food with exceptional quality. This product has no controversial ingredients, including zero artificial preservatives, colors and flavors - that’s fantastic. The food has a somewhat high amount of carbs, compared to its protein and fat, but excellent meat and fat quality. Natural Balance has an above-average number of recalls but the company was relatively transparent when answering our questions. Watchdog Labs highly recommends this product. This food has a good amount of protein but is somewhat high in carbs, which is lowering the fat content somewhat and making it less nutritionally balanced compared to other dog foods we evaluated. Carbohydrates are cheap so they keep the food’s cost low. They are nutritionally useful to dogs in the right amounts, however, very high amounts of carbs can reduce the much-needed meat-based protein and fat content. The average dog food we reviewed has 39 total ingredients, with 1 controversial ingredient. This product has 0 total controversial ingredients, really great. 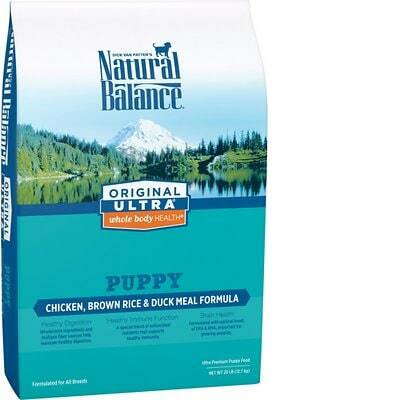 As pointed out above, Natural Balance Original Ultra Whole Body Health Puppy Formula includes no controversial ingredients. 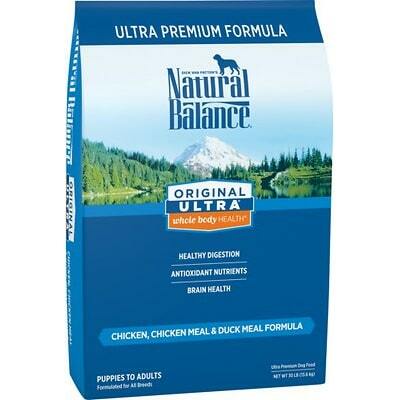 Natural Balance Original Ultra Whole Body Health Puppy Formula is made in the United States. Dog foods manufactured in the U.S. have to follow high quality standards, so this is a good thing. This food lists the following as its main meat, protein and fat sources: Chicken, Chicken Meal, Chicken Fat (Preserved with Mixed Tocopherols), Duck Meal, Dried Egg, and Menhaden Oil (Preserved with Mixed Tocopherols. What do they all have in common? They all clearly show you which animal species they come from. That’s transparent and makes the ingredients more trustworthy. This product contains no controversial preservatives. Keep in mind that not all artificial preservatives are necessarily bad. That’s because they serve an important purpose, which is to prevent food from spoiling. However, we consider 11 artificial preservatives controversial because of their potential link to cancer and other serious health conditions. 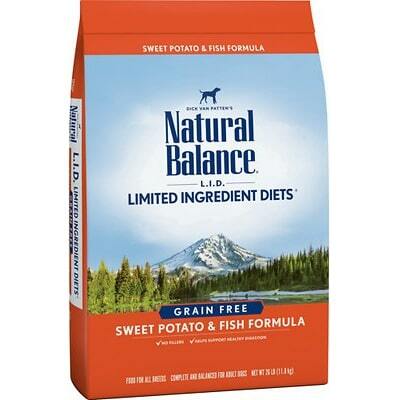 Natural Balance Original Ultra Whole Body Health Puppy Formula also doesn’t use artificial colors, excellent! No artificial flavors either. This dog food manages to ace all three “artificial ingredients” tests, an excellent performance. This is exactly what you want to see from dog foods. We found that Natural Balance has an above-average number of recalls.